Bhagavad Gita Art Gallery--Plate 32: At last Krishna showed Arjuna His two-armed form..
At last Krishna showed Arjuna His two-armed form. 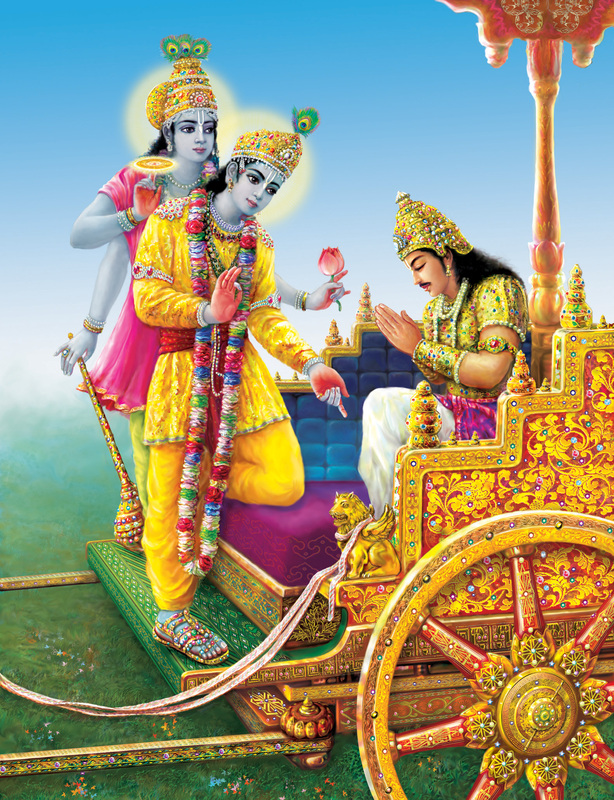 PREVIOUS Bhagavad-gita 11.50 After showing Arjuna His universal form, Krishna shows him His four-handed Narayana form in which He presides over all the spiritual planets. Then He changes to His two-handed form to show everyone that He is the source of the universe and the source of Narayana.